The eighth edition of ‘HT India’s Most Stylish Awards’ were held at the St.Regis in Mumbai on Friday night. 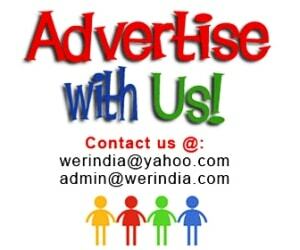 Vicky Kaushal and Radhika Apte hosted this very well attended event. 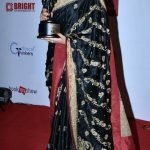 Kareena Kapoor won ‘ India’s Most Stylish Jury’s Choice award’ (Female) and was looking stunning in an all embellished black lehenga and a cape style top from the label Manish Malhotra. 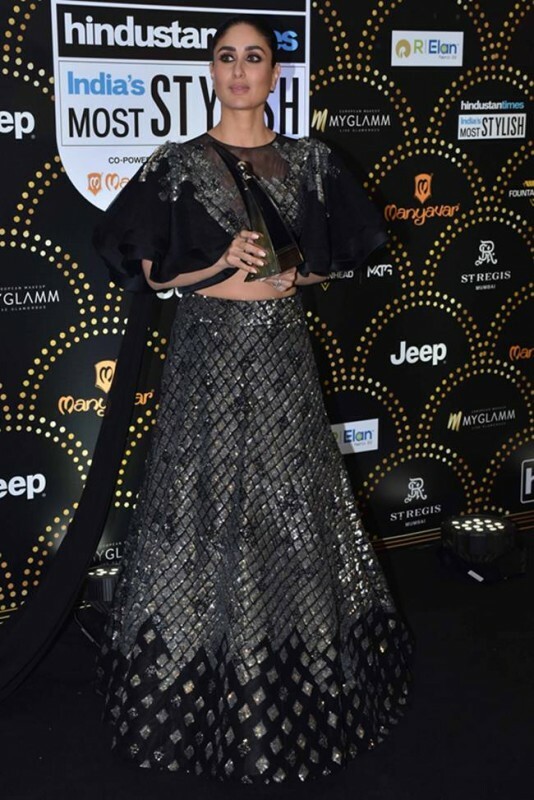 She said that she is accepting the award on behalf of her son Taimur, the most stylish man alive. Akshay Kumar won ‘ India’s Most Stylish Jury’s Choice award’ ( Male), the award was presented to him by his mother in law and actor Dimple kapadia and Sunny Leone. 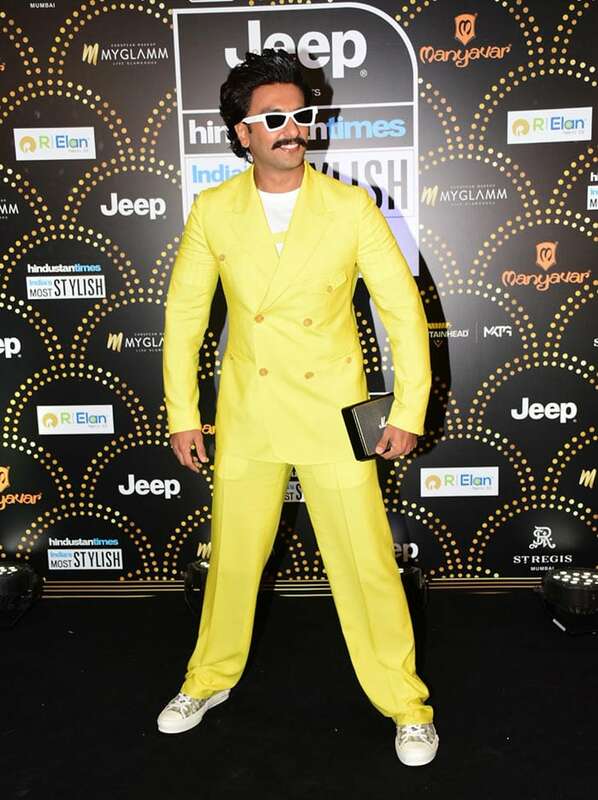 Ranveer Singh was seen wearing a yellow suit teamed with a white t-shirt and white-rimmed sunglasses . He also won ‘India’s Most Stylish Readers’ Choice Award'(male). Anushka Sharma won the ‘India’s Most Stylish Readers’ Choice Award’ in the female category. Taapsee Pannu who won ‘HT Style Trailblazer award’ rocked the night with her easy go stylish look. She wore flared bronze pants with a white shirt. 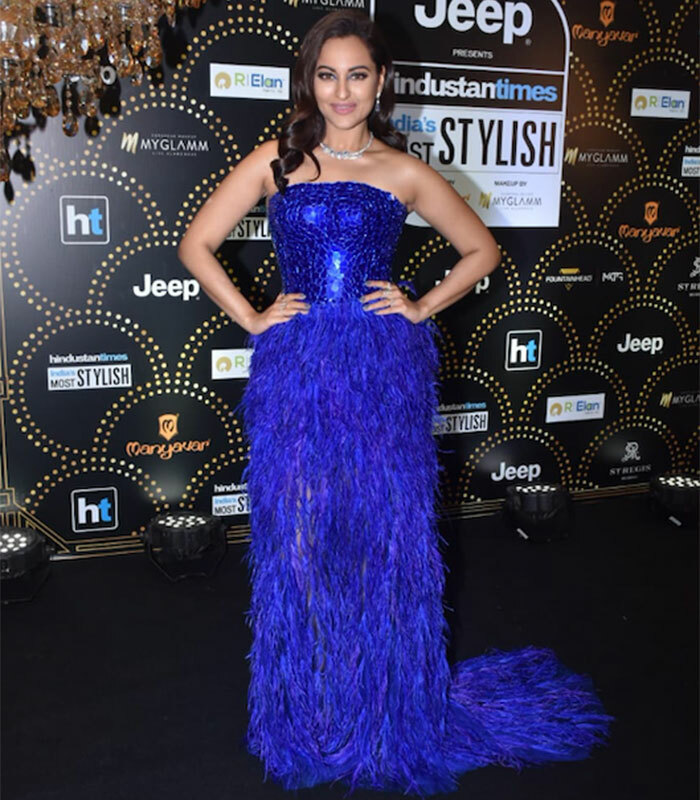 Sonakshi Sinha was seen donning an electric blue strapless gown with sequin and feather detail, and was also the winner of the ‘HT Style Game-changer’ title. 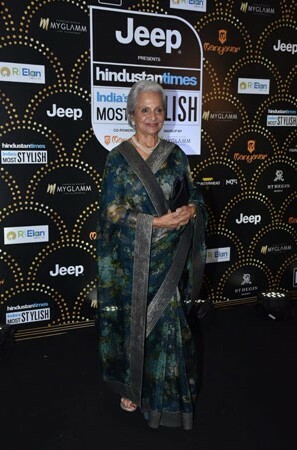 Veteran actor Waheeda Rehman won the ‘HT Style Hall of Fame award’ and received a standing ovation for the same.